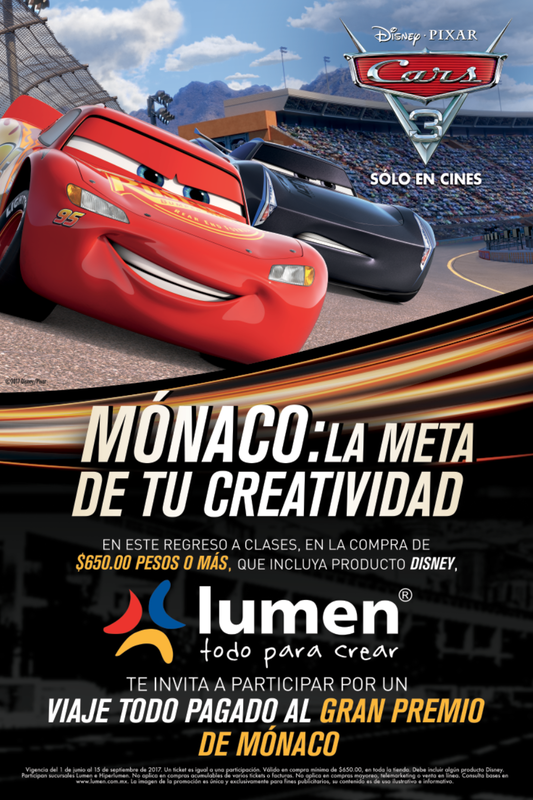 Courtesy of Walt Disney Studios Motion Pictures (Mexico) and Lumen we are offering one family of four the chance to attend the world-famous Monaco Grand Prix in May, 2018. Blindsided by a new generation of blazing fast racers, the legendary Lightning MacQueen is suddenly pushed out of the spot he loves. To get back into the game, he will need the help of an eager young race technician with her own plan to win, inspiration from the late Fabulous Hudson Hornet, and a few unexpected turns. Proving that No. 95 isn't through yet will test the heart of a champion on Piston Cup Racing's biggest stage. Cars 3 is released on June 16, 2017. 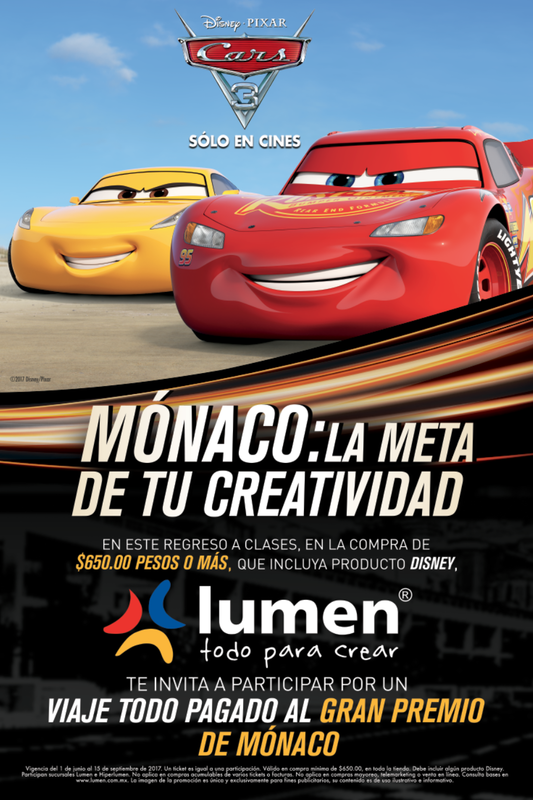 In order to celebrate the release of Cars 3, Lumen and Walt Disney Studios Motion Pictures (Mexico) have an amazing holiday to the world-famous Monaco Grand Prix which takes place on 27 May, 2018. One winning family of four will win this holiday of a lifetime to the world famous Monaco Grand Prix on Sunday, 27 May, 2018. This is high octane fun for four nights/five days in Monte Carlo, Monaco to see Formula One's most glamorous Grand Prix. While there, our winners will be able to peruse the Ferraris, Porsche and Lamborghinis that line the city's streets and soak up the sights of this playground for the rich and famous. Monaco stands out because of its urban setting, flaunting Formula One's sporting code: glamour, money and celebrities. Since 1929, the best machinery and best drivers have tackled the narrow, snaking track that spits venom at every corner. The most perfect drive can be ruined by the stresses inflicted by a track with four hairpins, a chicane and straights of up to 175 mph.